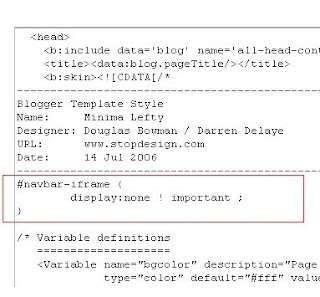 How to hide blogger navbar. is the trick how to hide this. 2. Now click on the Edit HTML as shown in the picture below. to put code to hide navbar. given in red box above it just like in image below. View your blog this time you will see there is no navbar, that's all.